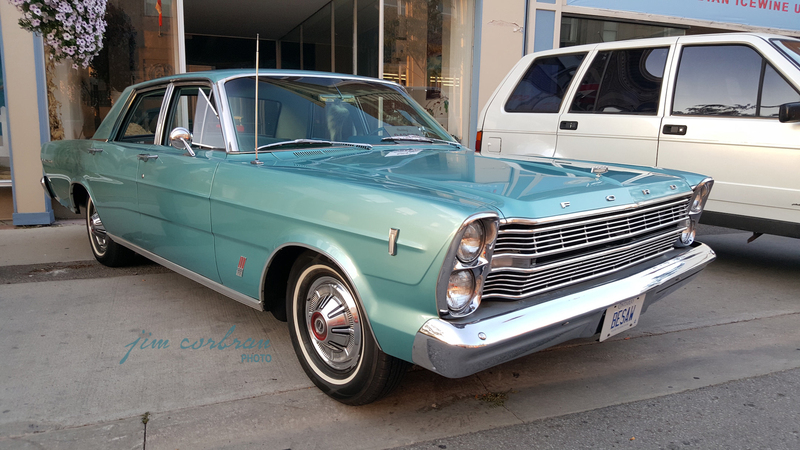 Hard to look at this 1966 Ford Galaxie 500 and not think family car. 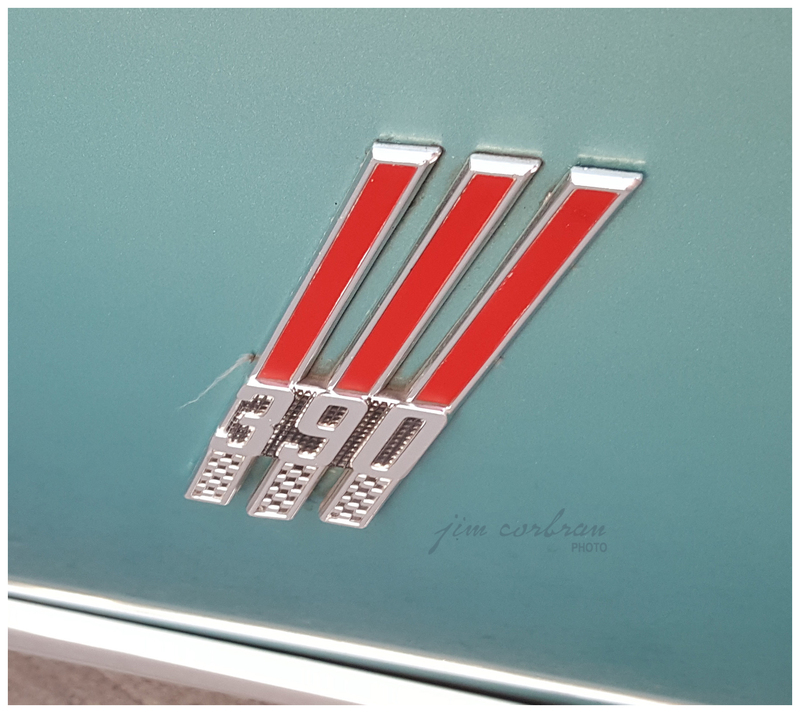 Nothing fancy — although it wasn’t the cheapest big Ford sedan that year, as the Custom and Custom 500 models were a bit more plain. Ford, in its Buyer’s Digest of New Car Facts for 1966, told us that Families like its roominess and convenience, the luxuriously solid, smooth and quiet ride, the economy and total performance.The family that owned this one (which looks like it was purchased new at Mason-Kells Motor Sales Ltd. in Welland) must have really keyed-in on the performance part, as we see by the fender badge that a 390CID V-8 is under that long hood (one of seven optional V-8s available in the ’66 Galaxie lineup). 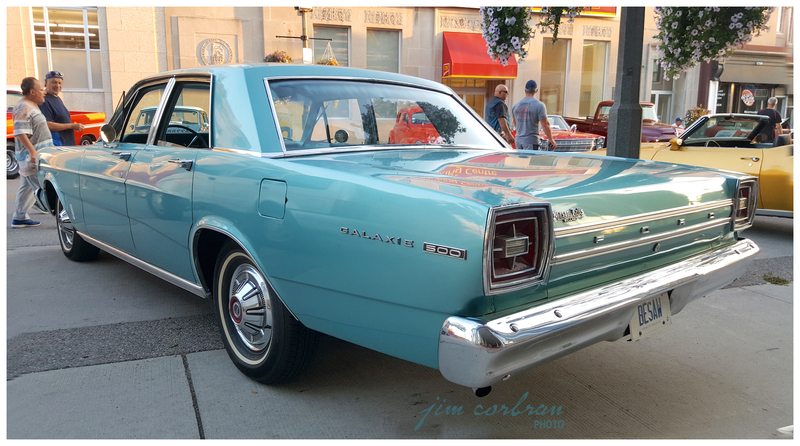 Saw this one over the summer at a Cruisin’ On the Q event in Niagara Falls, Ontario.